Planners are key to managing ghostwriting projects. 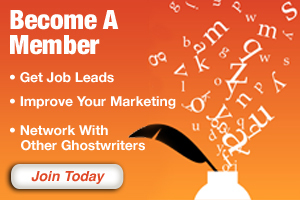 To be a successful ghostwriter, you need to have strong writing skills. That’s a given. But just as important as your ability to string words together in a pleasing manner is your ability to organize and manage all the information needed for your client projects. You can’t be a top notch ghostwriter if you habitually lose notes, forget phone appointments, or are slow to transcribe interviews. Contract. Before you begin any ghostwriting assignment – large or small – you should have a boilerplate agreement that lays out the terms of your engagement for you and your client to sign. Pay a literary attorney, such as Denise Gibbon or Sallie Randolph, to craft a simple but clear contract you can use with every client. Among other things, it should outline the basic terms you’ve both agreed to, identify who is responsible for what, when certain milestones are to be met or deliverables completed, what you are being paid and when, and what happens if one of you wants out. Planner. 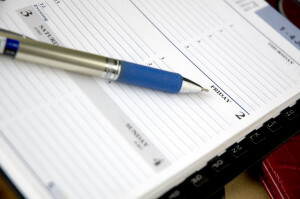 You need a schedule to note the timing of calls and due dates, as well as a calendar to set deadlines. Having it all together in one place, in an online or hardcopy planner, makes life easier and ensures you’re making the most of your time. Project management system. Where a planner helps keep track of commitments and deadlines, a project management system provides a central storage point for all of the background material needed for a particular assignment. So as soon as you land a new client, set up a new place to gather and store related materials you’ll collect for the engagement. That could be as simple as pulling out a manila file folder and labeling it, noting the client’s name and contact information on the front. This can work perfectly when the project is to write a single blog post or article. But when the gig involves multiple moving parts, as with a book, you’ll want to pull out and label file folders – manila or digital – for each chapter, so that you can sort and store material as you receive it. This helps ensure you have everything you need the moment you need to refer to it. You can then store all the book’s chapter folders in its own storage container, too. Recording device. One of the hallmarks of an excellent ghostwriter is being able to adopt the voice of the client. That means matching his or her vocabulary, tone, style, and pace of speech so that your words sound as if your client had spoken them. Capturing the words and phrases your client uses to describe a harrowing ordeal, or the emotions they felt during a particular time in their life, is much, much easier when you are recording those conversations. If you meet your client in person, a handheld digital recorder with excellent audio quality is an essential device. Olympus and Sony micro-recorders come highly recommended. And if you’re gathering details by phone, the use of a conference line with recording capabilities, such as Freeconferencecalling.com or a paid service like TapeaCall.com (which I have not personally used) will save considerable time and enhance the quality of your work. Transcriptionist. Armed with MP3 files of interviews, you’ll want to hand those off to a skilled transcriptionist to save yourself the time required to convert them into the printed word. Finding a transcriptionist isn’t difficult. Finding one who is accurate is. I’ve used Sandy Wiles for a number of years, CarolLee Streeter Kidd comes highly recommended from a number of AOGers, and I’ve also used Speechpad when time was of the essence. 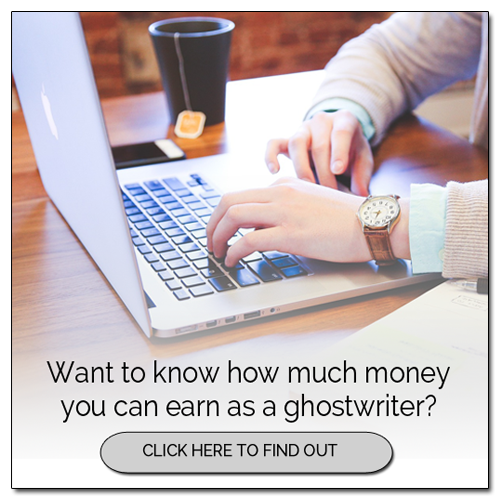 What do you consider to be your most essential ghostwriting tool?